OnePlus 6T have been confirmed in the previous article to be without popular 3.5mm headphone jack as we do see in others but refuse to give a photo of the type of headphone that will be coming along. Now, it is very glaring that they actually mean what he "Pei" said in an interview. Giving the photo a very close attention its sighted with flat plug which doesn't look like the others we use to see. 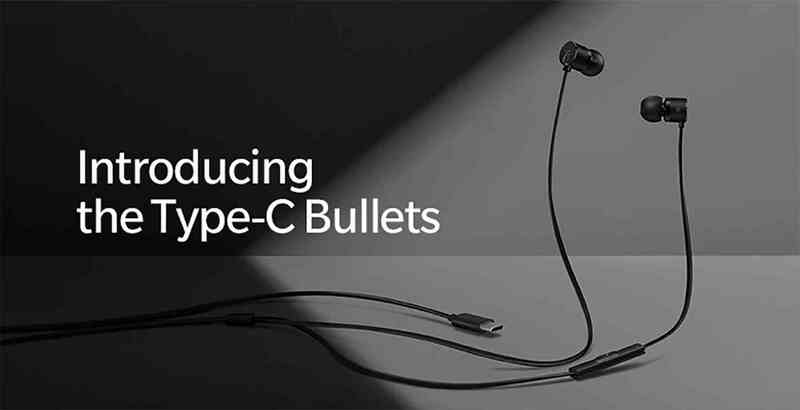 The type of headphone is called Type-C Bullets that comes with USB-C connector which include a new DAC that OnePlus says has a higher dynamic range, higher signal-to-noise ratio, and lower noise floor. OnePlus 6T has been rumoured to be coming in October and if the date is stick to then it will be coming along with the Type-C Bullets headphones to replace headphone jack. The company has confirm Type-C Bullets headphone durability compared to others because its made of aramid fibers wires. So it will be of good resistant to stretching that is won't easily cut like other headphone. As for the price nothing have been release on that for now until it finally announce date which we're hoping to take effect in October as earlier rumoured.